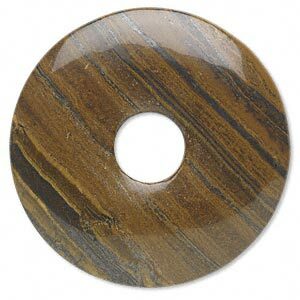 Focal, tiger iron (natural), 38x20mm curved oval, B grade, Mohs hardness 7. Sold individually. 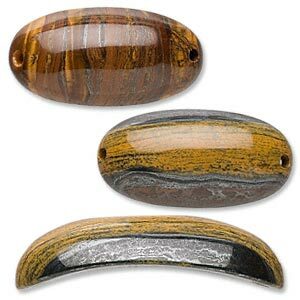 Curved tiger iron gemstones are perfect for bracelets and watchbands. Each has a hole in both ends for attaching beads or wire. Colors may vary slightly from item to item. 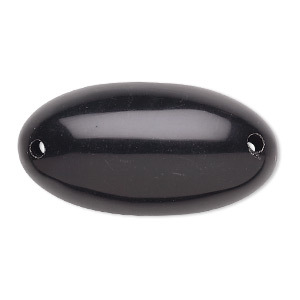 Focal, black agate (dyed), 38x20mm curved oval, B grade, Mohs hardness 6-1/2 to 7. Sold individually. 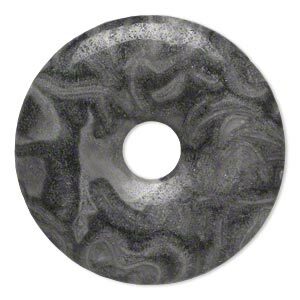 Focal, tiger iron (natural), 50mm round donut, B grade, Mohs hardness 7. Sold individually. 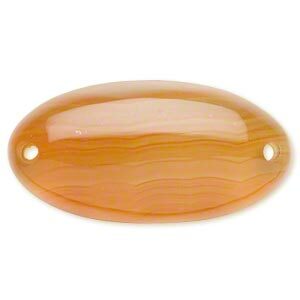 Focal, red agate (dyed / heated), 38x20mm curved oval, B grade, Mohs hardness 6-1/2 to 7. Sold individually. Clasp, toggle, Dalmatian jasper (natural), 45x6mm donut, 38x10mm bar, B grade, Mohs hardness 6-1/2 to 7. Sold individually. 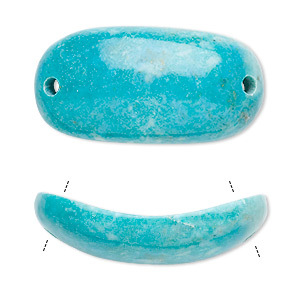 Focal, turquoise (dyed / stabilized), blue, 38x20mm curved oval, C- grade, Mohs hardness 5 to 6. Sold individually. 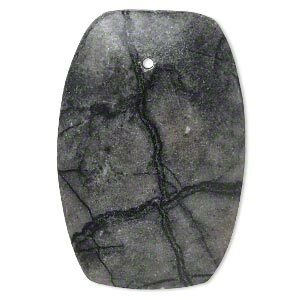 Focal, Picasso marble (natural), 44x29mm-44x30mm rounded puffed rectangle with flat back, B grade, Mohs hardness 3. Sold individually. 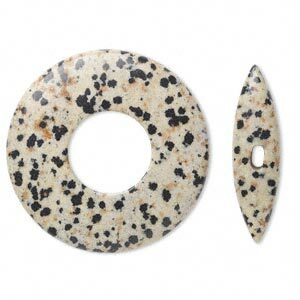 Focal, black lace marble (natural), 40mm hand-cut round donut, B grade, Mohs hardness 3. Sold individually. 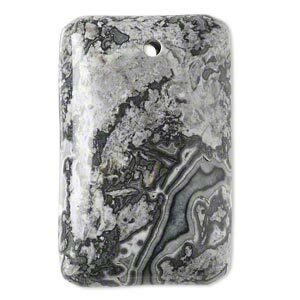 Focal, black lace marble (natural), 40x25mm hand-cut top-drilled domed rectangle with flat back, B grade, Mohs hardness 3. Sold individually. 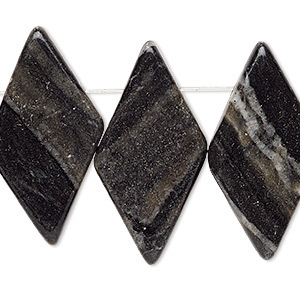 Focal, Picasso marble (natural), 38x19mm-39x21mm flat diamond, B- grade, Mohs hardness 3. Sold per pkg of 4. 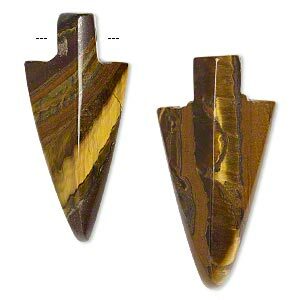 Focal, tiger iron (natural), 38x17mm-42x19mm arrowhead, B grade, Mohs hardness 7. Sold per pkg of 2.